Volt – Today is a digital era where all work is done instantly and everyone does not want to waste their time doing less important things. shopping online of course delivery service required for goods to get to the destination. A very relevant issue today in the market for goods and services is the market for the delivery services. However, the problems that exist today most delivery service markets such as service pricing estimates, delivery speed limitations, to existing quality do not match the expectations of most people. Simply Volt is an enhanced platform on a centralized delivery platform that exists, like UBER, to allow direct P2P delivery. The P2P model enables between courier and customer to communicate directly without intermediaries so that it will reduce costs by less than 5%. Decentralization – VOLT is a decentralized platform. There is no middleman, which leads to lower prices for customers while the couriers will get the maximum profit. Transparency – Transparency is what VOLT strives to offer. All customers and couriers, or shipping companies, benefit from privacy and the transparency of costs and expenses. Security – A secure payment system that allows two P2P entities to be confirmed to send and receive money held in Token VOLT until after successful service exchanges between the parties. The VOLT business model connects customers and couriers, and provides customized algorithms that utilize Big Data and a suitable system that uses smart contracts for easy service delivery. Customers need VOLT coins to use this service. When shipping food, goods, shipping distance, time taken, taking into account the weight of the goods will be determined in accordance with the number of difficulty of work. This work unit is called “Jula”. For example, if the customer wants to send the item to a point called A 2km away and you need 600 Jula, and 1200 Jula is required to send the same item to B point 6km away. VOLT is developing an optimal algorithm to calculate this amount of work, and will introduce the lowest (auction) auction system for some special shipments. 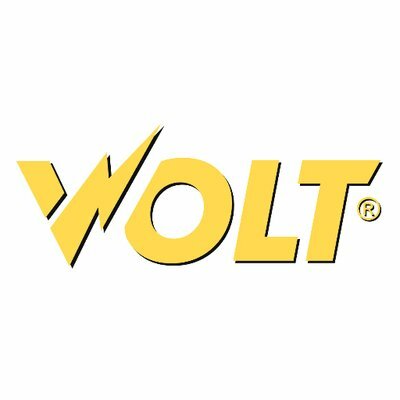 VOLT coins are required for service buyers to request delivery. That is, to request some performance of Jula, the corresponding VOLT coin is used. This ratio of Jula to VOLT coins is not always constant. The first Jula to VOLT coin ratio starts at 1: 1. The ratio may change according to the price in the market. This review I take from my own observations about VOLT who will hold ICO. Volt is already listed on coinschedule.com, which is the best site I’ve ever known to determine which ICO will be a success or a scam. And VOLT itself is listed on the list of gold and also with trust B, it means the project has more value and more trusted than other projects. Distribution of after-sale funds: – 60% project development and development; – 10% operating costs; – 10% marketing; – 10% bonus; – 5% safety and audit; – 5% legal support. Sales of Volt tokens will be divided into 2 phases of pre-sale phase and public sale. The pre sale phase will be held on April 18, 2018 – May 8, 2018. Bonus that will get 30%. Public sale phase will be held on May 10, 2018 – May 31, 2018. Bonus that will get 20%. – In addition, anyone can be a courier, even without a vehicle, which will improve overall economic efficiency.